Having only a mobile phone or tablet isn’t enough, you need all the accessories that come with it to give your device the highest protection and also experience all its features at its fullest. First off, your priority is to protect your device from any damages and that’s why you will be needing a screen protector along with a case or cover for your device. At Jumia Egypt, you can find all kinds of screen protectors whether glass or full body or 5D for all mobile devices and tables. With a huge variety of over 100,000 covers and cases for all devices, you can browse through hundreds of colors and themes and illustrations until you find the best one for you. Other amazing accessories may include selfie sticks, stylus pens, earphones and headphones to take you away from the real world and many other fun accessories to get the full device experience. Jumia Egypt also offers you accessories that are compatible for your devices like power banks to charge your phone on the go, and car accessories like car-mobile holders or AUX cables for blasting music on your road trips. 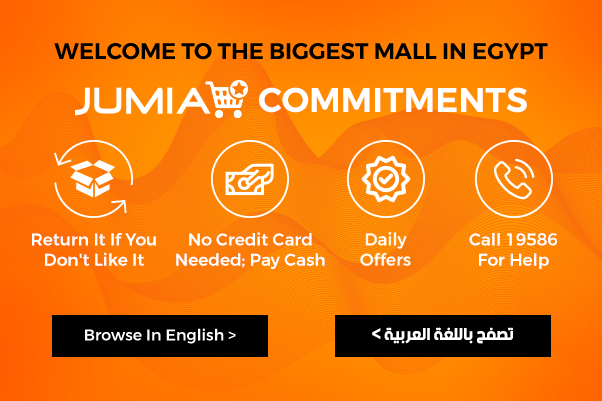 We bring you the fastest delivery and most affordable prices so you can spoil your mobile phone or tablet with the most amazing accessories only on Jumia Egypt!